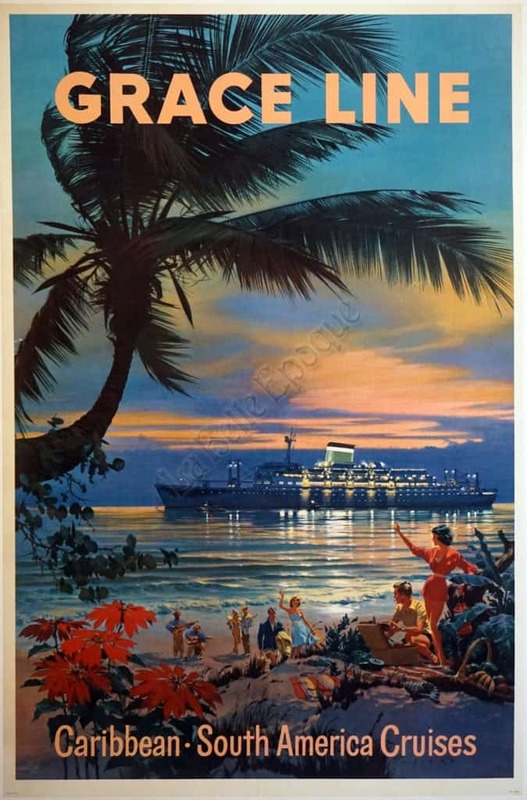 This wonderful poster for travel by ship to the Caribbean and South America shows the ship lit up in the harbor with the magnificent sunset in blues, pinks, & gold with reflections on the water. In the foreground, you can see the passengers on land partying. The musicians are playing guitars which adds to the festivities.